In this study of Maiden Castle, H.W. 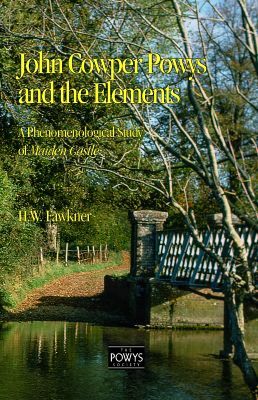 Fawkner discusses the elements—but in a way new to Powys criticism and indeed to element-theory. In a move that aligns itself with the ongoing shift from postmodernism to speculative realism, Fawkner highlights the Powysian emphasis on elements as a mechanism that invalidates the tradition of taking the human being as ultimate standard of reference. In Maiden Castle, No-man’s name points to this devolution. The futility of self-centredness is inscribed in his identity as a void into which self-glory perpetually plummets— but also as a gateway for release into the elemental surprises of the real. Space is uncovered as a field in which each element is a dwelling for anything existing under the authority of its sphere. Here each being has an elemental essence surpassing all possible relations to it. Objects and people are not defined by relations but by the style and feel of the element in which they are imbued. Freed from connectivity, an object, colour, or landscape is perceivable in stand-alone fashion as something almost surreally real. Powys is hooked on the rumbling, ghostly, or unobtrusive intensity of this reality-factor, all relations and connections being subservient to it. To read Maiden Castle as a celebration of the elements is accordingly to confront the fact that every primordial component of the world is somehow absolutely real prior to its being-related. Each item of reality, whether living or inanimate, sports the secret of an intrinsic reality that is hidden from the rush of the world’. To see things and beings non-relationally is to see elementally. That seeing is complex—and no one understood that complexity more profoundly and vividly than John Cowper Powys.